Western Vs Vedic - 1. First of all, apologies for uploading this complicated picture but I didn't find one more suitable for the purpose of this post. I will try my best to explain it properly. Few disclaimers about this post - This is not everything about the difference between Western and Vedic Astrology, but this is the basic difference as I understood from my studies of Great Astrologers. You can find more information about this concept by searching on Google with "Sidereal Vs Tropical". Another thing is that purpose of this post is not to ridicule Western Astrology but just to understand where did things go different in calculations. So, currently, for Indian Vedic Astrology, Jupiter is in Cancer and Saturn is in Scorpio but for Western Astrologers, Jupiter is in Leo and Saturn is in Sagittarius (both one sign ahead). Simpler way to understand this difference is that if you are born on 21st Jan of any year, your Sun Sign will be Capricorn for Vedic Astrology but Aquarius for Western Astrology. So, How come Western Astrology is always one sign ahead of Vedic Astrology? Where is the difference? So, as we all know, Mother Earth is round. It is rotating on its axis and it is actually tilted on its axis. So, the dotted bar in middle of earth is actually showing that how earth would be if it would have been erect on its axis. The tilted bar near the dotted bar is showing the tilt of the earth on its axis. 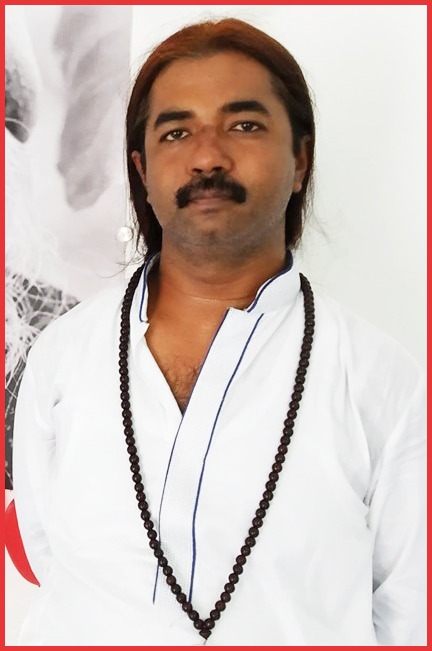 Now, the main difference between our ancient astrologers (Great Sages) and Western Astrologers was that we had the power of Meditation with us. So, Western Astrologers saw planets from the earth and obviously thought that planets are going around the earth through complete circular movement, represented by circle near Ecliptic in picture. But the same movement of planets around earth was seen by our Great Sages (through their power of Meditation), as if they are seeing it from the top of Solar System itself. So, it is like we are watching the Cover Picture of this FB page. 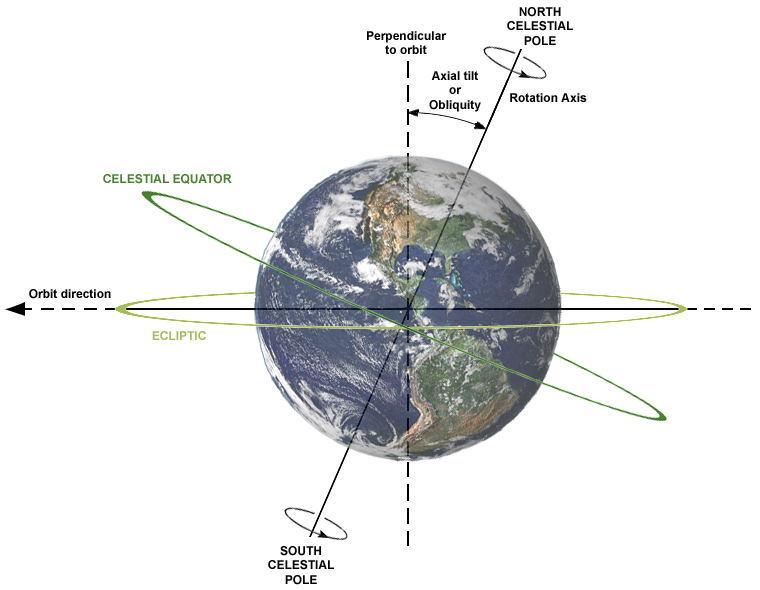 And there they realized that earth is actually tilted and if earth is tilted then movement of planets around the earth has to be slanted, much like the circle of Celestial Equator in picture. So, when the basic movement of planets was understood in a different ways then there has to be difference in calculations. Now, why this difference usually comes up as the difference of one zodiac sign? Because the difference between last point of Celestial Equator circle and last point of Ecleptic circle was 23 degrees and one zodiac sign is about 30 degree long. That's why, the western astrology is always about one zodiac sign ahead. Like if Sun is at 8* at Scorpio today in Vedic Astrology then in Western Astrology, it is 1* at Sagittarius (8 + 23 = 31, so it crossed Scorpio at 30* and entered in Sagittarius at 1*). Hope it was understandable. One thing to remember here is that character of planets, description of houses, signs and impact of planets in a house or sign, always remain same in western and vedic astrology. It means if Sun is exalted in Aries and debilitated in Libra in Vedic Astrology then it is same in Western Astrology also. It is just the current planetary movement which is different.